It's time to get down to the Royal Academy Summer Exhibition for the annual hunt for chess-art in the sprawl of the main galleries. There is also a special exhibition upstairs that looks promising. 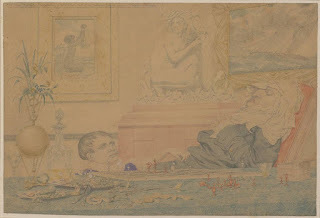 It is a rare show of the eccentric American artist Joseph Cornell. 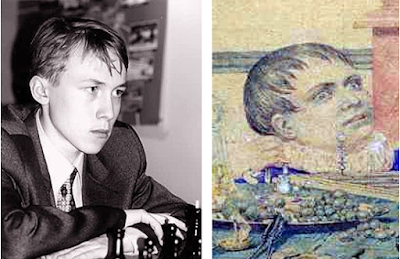 He rubbed shoulders with Duchamp, so there could be some chess there as well (report next time). After a few lean seasons at the Summer Exhibition (2012 was the last good one) this year we have a result: not a chess painting, but a beautifully elegant chess set on display among the architectural models, and a bit of ancient chess history. The punters were having fun naming the buildings (though not the opening) - and it was selling well. But, uh-oh! Isn't that a familiar theme: old London buildings versus the new; haven't we seen that before at the RA Summer Expo? It was back in 2010, in fact, when there was another ultra-modern architect's chess set uncompromisingly dubbed "Style Wars: Modernists versus Traditionalists". We blogged about it here and here. But the "Morals of Chess..." sounds more philosophical than martial. To find what it's all about I emailed the artist/architect, Karl Singporewala. 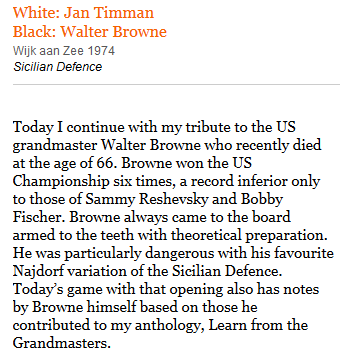 Jonathan was talking about Walter Browne on Monday. Ray's written about him a few times recently, including a Times column two weeks ago today. It includes notes "based on", to use Ray's phrase, notes by Browne himself. "Based on", they certainly are. Especially if "based on" means "borrowing somebody else's text and changing round a few words here and there". 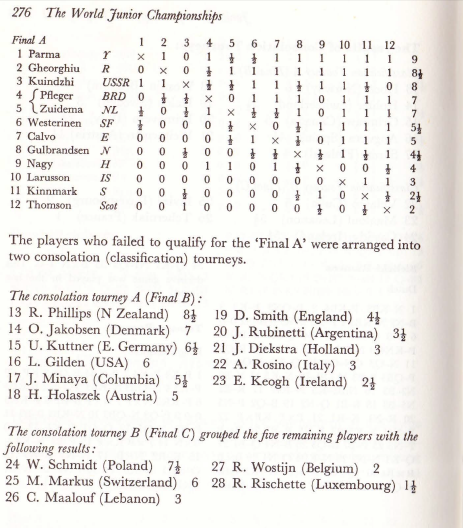 My first encounter with Browne came in 1983 at the players’ meeting before a televised tournament in Bath. The organisers explained that due to the strict time limit (2 hours for all moves), players were expected to act as gentlemen and and not try to win dead equal positions on time. “Can you define gentleman?” shot back Walter, peeved that his desire to win from any position might be curbed. By the time you read this I’ll be about halfway through the tournament in Sitges. To put mildly, I do not expect to be amongst the leaders by this point. There’s a lot written about how the differences between the sort of people who do end up leading the field in European Opens and people like me who do not. They are better of chess, of course, but how are they better? One of the things to which amateur chessers could pay much more attention should we genuinely wish to improve, is that the strongest players simply try harder. I’m sure we can all think of an exception to the rule, but by an large the higher the elo, the harder they are to beat and the longer they try to win. Probably the most important attribute for a grandmaster is his tenacity. If he wants to win a game, he will fight until there are only kings left on the board, Even if he has a bad day and spoils the advantage in the opening and fails to make progress from his slight advantage in the middlegame, he will press on until there is no hope left. This is partly because grandmasters are stubborn, a quality which is invaluable in the hunt for the title, and partly because they know that this attitude brings result more often than their amateur opponents expect. Danny Gormally has something similar to say in Play Like the Pros. Walter Browne was famous - or do I mean notorious - for his will to win. He might have wanted to secure a full point from any position, as Rogers put it, but today’s is one that got away. Clearly Browne would have found the solution had he been looking for it. He must have already mentally given up the game as drawn. It’s not, though. Not even for a gentleman. Anyhoo, whether I’m successful or not in playing and playing until I get a Sitges king and pawn endgame I’ll let you know next week. Couldn't resist running with this. Last Tuesday, in his comment on Daddendum 2 (which was a postscript to Daddendum the Friday before - itself a late addition to the Asylum series), Matt Fletcher wondered whether The Child in Dadd's painting looked like Russian Ukrainian (oops; my unfortunate error; sorry - see comments) GM Ruslan Ponomariov. That was after Mr Hogg reckoned that The Governess (for want of a better moniker) had something of the Karpov about him/her. And who am I to disagree. "Abu Taubah took pictures of his cat and of the food he liked"
But why had Taubah (Arabic for "repentance") chosen the path of jihad as a response to injustice? And weren't Isis committing injustices too? Soon I would question him about this. But first, I wanted to know about his past. Half in jest, I probed him based on what I knew about the profiles of some jihadis: "Let me guess… in your pre-Islam life, you were in a gang of some sort, took drugs and went to jail?" He replied with "no comment". He was only prepared to reveal that his past was "bad" and that he looked on the bright side now: "When life gives you lemons, you make lemonade." Taubah gradually began to open up more, telling me he went to university in the UK, enjoyed Muay Thai, playing chess and once had a dog. He said his family didn't understand him, but he loved them and missed them - the Nigerian side (he never knew the Irish side). In Syria, he cooked meals with his friends, adopted a cat and liked the "halal partying" on Eid, which meant "eating food and having fun with the ikhwan [brothers]". Taubah even learned to speak Arabic by mixing with the other fighters. He told me there were many foreign fighters living with their families in Raqqa, where it was "easier not to sin". Despite his online persona, I wasn't sure if Taubah actually engaged in combat. When I asked what job he did for Isis, he vaguely told me: "We work for Allah in the day and rest at night." He said he couldn't reveal details for security reasons, nor did he want to jeopardise his family in any way. But I wondered if his withholding information might also have been because he planned to return home. As well as bombarding me with jihadi literature, Taubah also asked questions like "how many countries have you travelled to?" and "what's the most horrific thing you've seen?" Recon Marines will proudly tell you that if you look up their official Military Occupational Speciality in a Marine Corp manual, their job title is listed as "Reconnaissance Man." Theirs is one of the few remaining fields in the military closed to women. For many, becoming a Recon Marine represents one of the last all-male adventures left in America. Among them, few virtues are celebrated more than being hard - having stronger muscles, being a better fighter, being more able to withstand pain and privation. They refer to extra comforts - foam sleeping pads, sweaters, even cold medicine as "snivel gear," and relentlessly mock those who bring it as pussies. Nor do the men have any CD or DVD players, Game Boys or any similar entertainment devices. They were forbidden to bring such distracting items to the Middle East. They are young Americans unplugged. Their only entertainment is talking, reading and playing cards or chess. There’s a chess board set up in the centre of the tent, where a company tournament has been going on for six weeks now. At night they fight constantly. They judo-flip each other headfirst into the plywood floor of the tent. They strong-arm their buddies not headlocks and punch bruises not each other’s ribs. 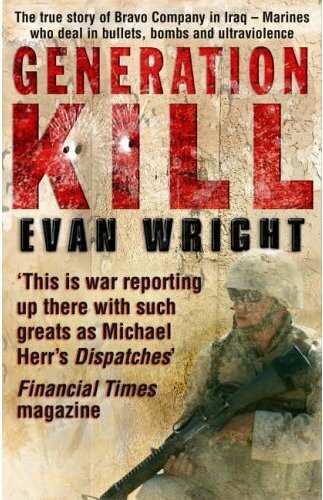 They lie in wait for one another in the shadows and leap out swinging Ka-Bar knives, flecking their buddies’ rib cages with little nicks from the knife tips, or dragging their blades lightly across a victim’s throat, playfully simulating a clean kill. They do it to keep each other in shape; they do it for fun; they do it to establish dominance. Just a quick postscript to Daddendum. 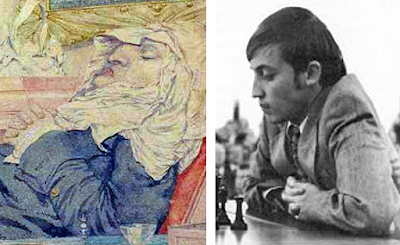 Regular S&B Chess Blog reader and fellow chess-art iconographer David Roberts has just been in touch. Using his skills in digital picture recovery (something he does in the course of his professional work), David has built on the traces of colour in the Tate's reproduction of The Child's Problem and re-created for us how it may have looked originally. As Dadd expert Nick Tromans (see Daddendum), to whom we showed the enhancement, aptly remarked: "Sad to see what we are missing." Hooray for me. Last week I was able to pick up a book aimed at sub-1500 chessers and solve at a glance every puzzle the author set in a chapter on king and pawn endings. Yes I am genuinely chuffed about that. 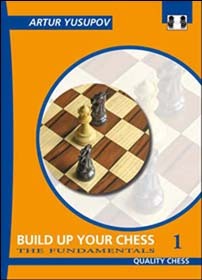 The book in questions was Yusupov’s Build Up Your Chess: The Fundamentals. The first in a 9-volume course, it is - according to our friend Artur - aimed at people with elos several hundred points less than mine. To which I can only say, "Bloody hell, are you having a laugh, Art?" Easy it is not. If I’d have started out with this book and course when I was a beginner I’d be master standard by now at least. Or I would have quit chess forever after a couple of weeks. One or the other. The truth is, I didn’t even actually get all the puzzles straightaway either There was one - you can find it at the head of today's blog - that took me a few minutes. I did get there in the end, but this is the first of three books aimed at people I’m supposed to be much better than already. What are the last three aimed at people with much higher elos than mine going to be like? Maybe one day I’ll find out. For now, I’m happy enough to have nailed all the puzzles in chapter 4 of book one. A few years ago, back in 2011, the Blog belatedly stumbled on a rather unusual chess painting that was to become the launching pad for a series investigating chess and chess players in Bedlam, and the later Broadmoor (as it became), Asylums. It was Richard Dadd's The Child's Problem, then on view in an exhibition on the art of watercolour painting at Tate Britain. Now the painting may be seen again, in an exhibition devoted solely to Dadd's art, at the excellent Watts Gallery near Guildford in Surrey until November. 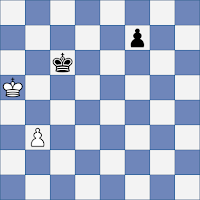 As it is not on everybody's doorstep (though Surrey chessers have no excuse...) it is reproduced below. Its reappearance gives us the opportunity to investigate anew this rather odd piece of work, and add a few more comments to extend our analysis of 2011 (for which, see the Dadd series listed in our Asylum Index). Seeing it again at the Watts, in rather better conditions than at the Tate, is a real pleasure. Here you can really appreciate the painting's miniscule and puzzling detail - at 17 cms by 25 or so, it is about half-way between A5 and A4. I was fortunate enough, a few weeks ago, to catch a talk by the Watts Gallery's Director, Nicholas Tromans, on Dadd's art - he has written an authoritative work on the artist. He was joined by Victoria Northwood, Curator of the Bethlem Museum of the Mind, in Beckenham - also worth a visit - who talked rather more about the history of the asylum itself. I subsequently took the opportunity to swap emails with Nick Tromans, and the results are discussed below. But first a recap. 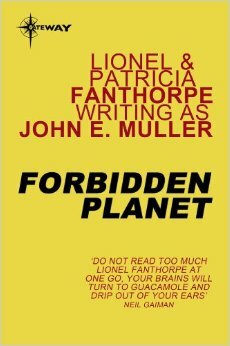 Ever come across Forbidden Planet? Last week (Readers’ Hour) I mentioned that I was looking at pawn endings as a way to practice calculation. I thought - and still think - that it’s a good way to polish your skills in this area of the game. You do have to understand why you’re doing it, though. 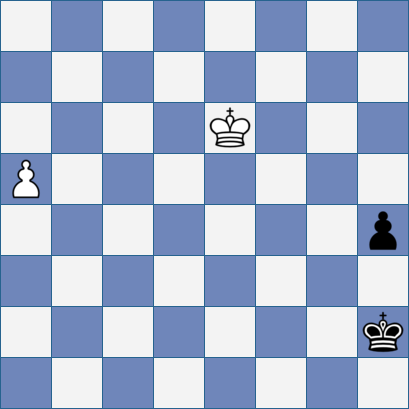 In the last posting we were discussing the impact of the building of the Berlin Wall on various international chess tournaments that were due to take place that year and the next: mainly the Women's Olympiad, which was cancelled, but also making reference to the Interzonal, which took place not in Amsterdam, as planned, in 1961, but in Stockholm the next year. we can see that there was, in fact, a competitor from the GDR. So where were we? We'd been trying to reconcile Brigitta Sinka's memory of a boycotted Women's Olympiad in 1960, with the apparent fact that no such Olympiad had ever taken place, and discovered that an Olympiad had been planned for 1961, but apparently called off at the last minute since East German players were not granted visas. This in turn seemed to be connected to the creation of the Berlin Wall, which began in August of that year. The idea was to try and get some contemporary account of the cancellation, for the purposes, as much as anything else, of clarifying the whys and wherefores: trying to establish, as my inner history graduate would like, what exactly happened and when. Not long until Sitges. In fact on this day in two weeks’ time I’ll be in Spain. Assuming, that is, I do in fact make it out of Stansted which is not exactly a given. To be honest, I don’t feel prepared for this tournament. Not unprepared in a 'don’t know what openings to play' kind of a way. More, not ready in the same sense that you might not be entirely confident of finishing a marathon if your training programme had been six months of sitting on the sofa eating mini-cheddars. Having lost a winning position against Caruana on Tuesday afternoon, he'd been holding reasonably firm against Kramnik on Wednesday when in the position above he played 50. Ke2?? (50. Ne3, safeguarding c2, seems to be correct) possibly under the impression that after 50...Rc2+ Black wouldn't have time to pick up the a2 pawn, since his f6 knight would now be hanging. 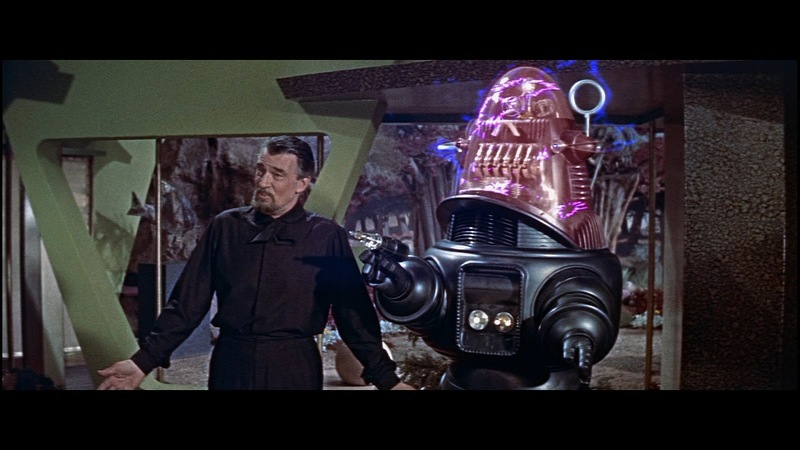 Regrettably this was not so and after 51. Ke3 Rxa2, since 52. 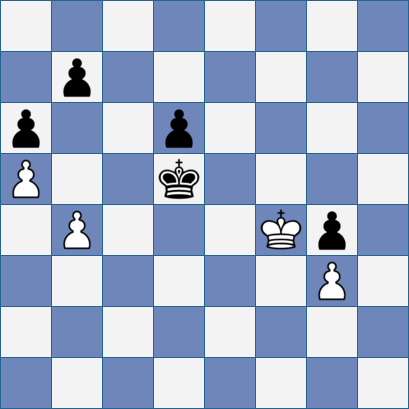 Qxf6 runs into 52...Qf4+ or Qc1+, he tried to cover both squares with 52. Qc4 - but then 52...Qb7 threatened to put the liberated knight on d5, where it duly arrived with a bang and a terminal check. Exit Georg to spend the rest day pondering on the point and a half, against world-class players, that he'd managed to turn into none. 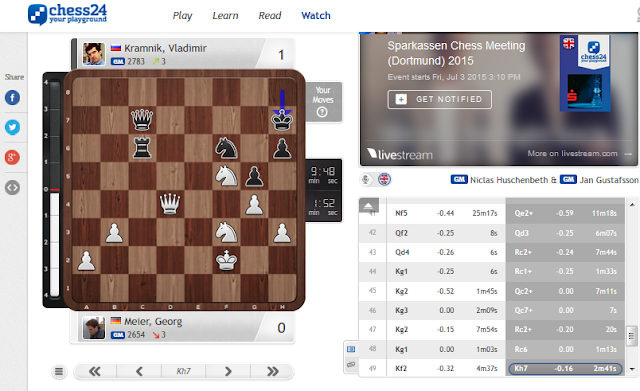 But what about that Vladmir Kramnik, eh? Nobody in the world more dangerous when the computer says 0.00. Nobody. Not even Magnus Carlsen. 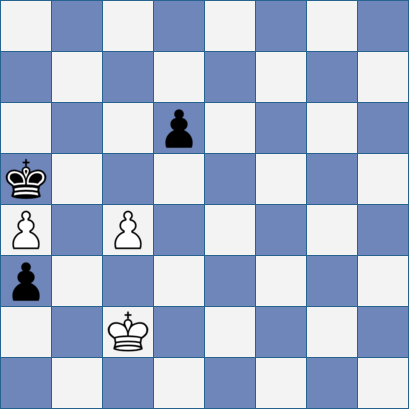 It looks like Brigitta Sinka did it: topped, last weekend, Capablanca's total number of games played in simultaneous exhibitions. Congratulations to her. However, a commentor provided us with information suggesting that Ms Sinka's memory was not as fallible as it first seemed, there had been an Olympiad planned, albeit for 1961 rather than 1960, but it hadn't taken place. The precise reasons for that appeared to involve the East German team being denied visas, rather than being disqualified as such, but that's a fine distinction. Other details remain to be established.